CAO Cigars...Amazon Basin Available Again For a Limited Time. Camacho Diploma Available For A Very Limited Time. 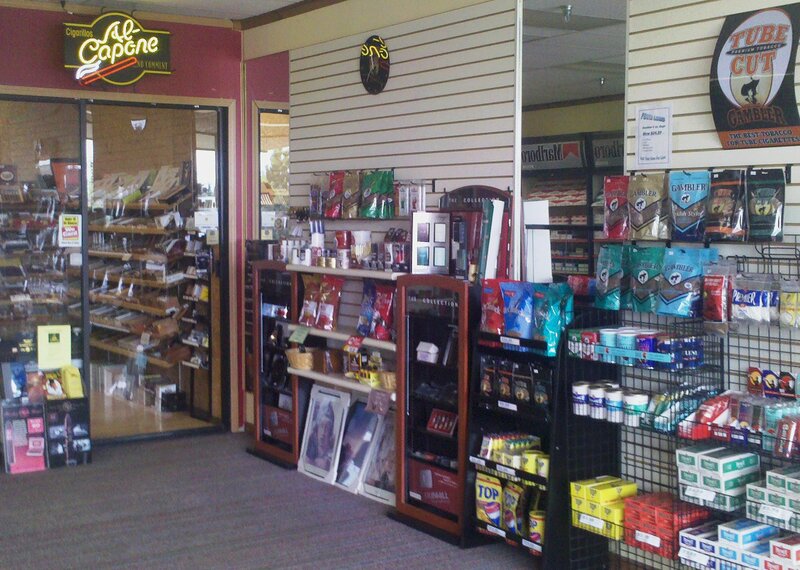 Visit our expanded walk-in humidor and see our other store improvements! Tobacco Stop is your stop for fine tobacco products! Welcome to Tobacco Stop, a full service tobacconist, and your one-stop shop for quality cigars, major brand cigarettes, pipe and roll your own (RYO) tobacco and cigarette-making products. We carry a full line of smoking accessories, everything from cigar cutters and pipe tools to lighters and butane. Tobacco Stop now has video slot machines as well as beer, wine and spirits that can be enjoyed on the premesis. Need a gift idea for the smoker on your list? 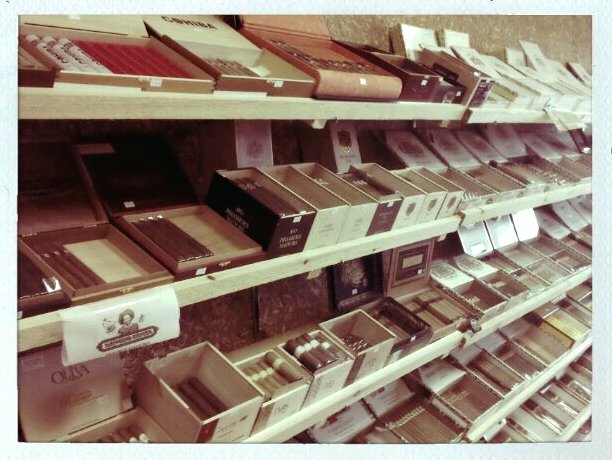 We carry specialty gift items including humidors, carrying cases, tobacco pouches and more. Our store is located in the Cary Square Mall, on Northwest Highway (Rt. 14) between Cary/Algonquin Rd. and Three Oaks Rd. in Cary, Illinois. Stop into Tobacco Stop, we’re open 7 days a week. Step inside our expanded humidor and you’ll find one of the finest cigar selections in the area. Our collection comes from worldwide cigar manufacturers from locations such as Costa Rica, Dominican Republic, Honduras and Nicaragua, just to name a few, and our selections continue to grow. We carry many facings of the most common brand names including Arturo Fuentes, Ashton, Avo, Kristoff, Punch, Romeo Y Julietta, Macanudo, Montecristo, Rocky Patel, and many more… with flavor ranges from very mild to very strong and everything in between. Our humidor is also stocked with several harder to find cigar brands, specialty cigars, bundles and cigar gift sets. 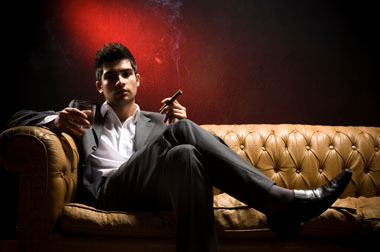 Click on the Cigars tab to see a list of what we have to offer. 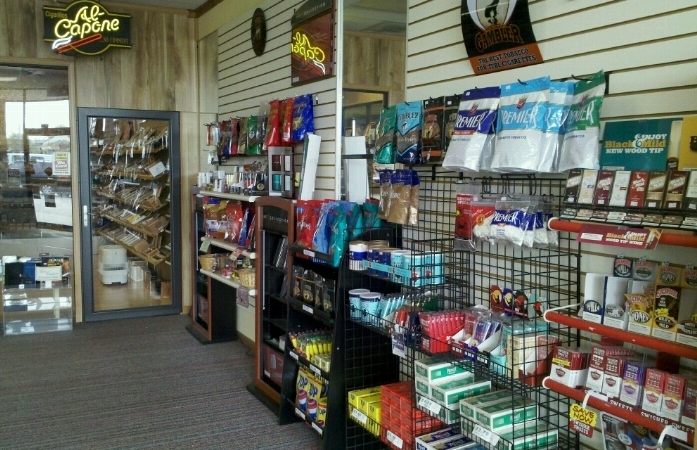 In addition to cigars and cigarettes, Tobacco Stop carries a variety of pipe tobaccos and an extensive line of roll your own (RYO) tobacco and accessories, including rolling machines, filter tubes and cases. Did you make the switch to electronic cigarettes? Tobacco Stop also stocks E-Cig products including JUUL, EPIC, JAX, Vuse and more. To see a complete listing of tobaccos and smoking accessories click on the Tobacco and Accessories tabs.